With the rapid changing technology, businesses need an easy-to-operate and high-end enterprise software solution to address the enterprise challenges. 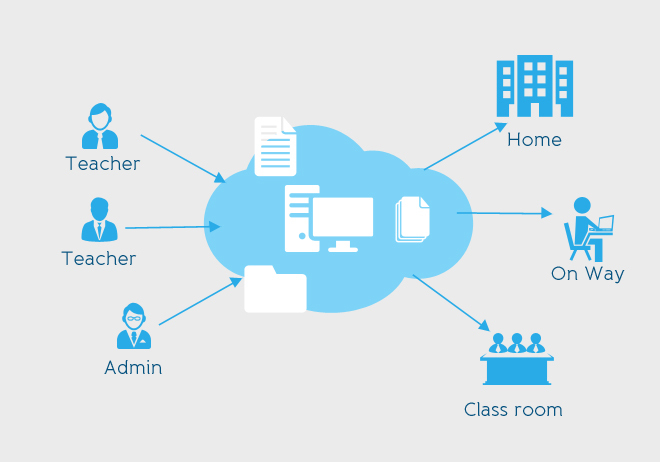 This cloud based ERP for campus management’ software resolves the tedious tasks in an educational organization starting from admission, academics, library to examination. It helps organization like colleges, universities, school, institutes, coaching classes, etc. to transfer and acquire knowledge consistently and to track as well as record entire operations of education institute for enhancing the business processes. As educational institutions are becoming increasingly complex and are not limited to delivering education alone, this solution deals with a multitude of activities like admissions, library management, hostel management, placements, finance management and many other internal and external processes. The software is an activity to replace the traditional administrative computing system with new linked system framework which help in taking decision on time. 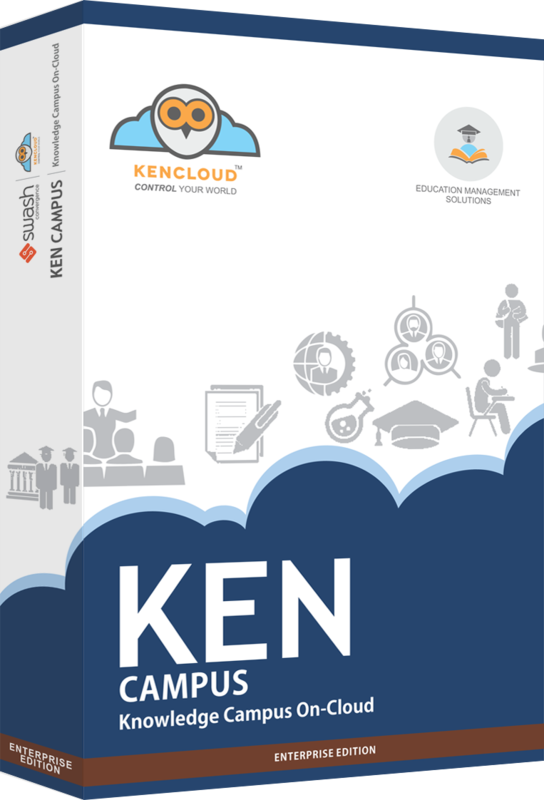 KENCampus™ an Enterprise Resource Planning (ERP) solution with the most exhaustive suite of modules, helps streamline methodologies and enhance learners’ involvement chances in higher educational establishments. KEN Campus ERP is intended to guarantee information security and adaptability. 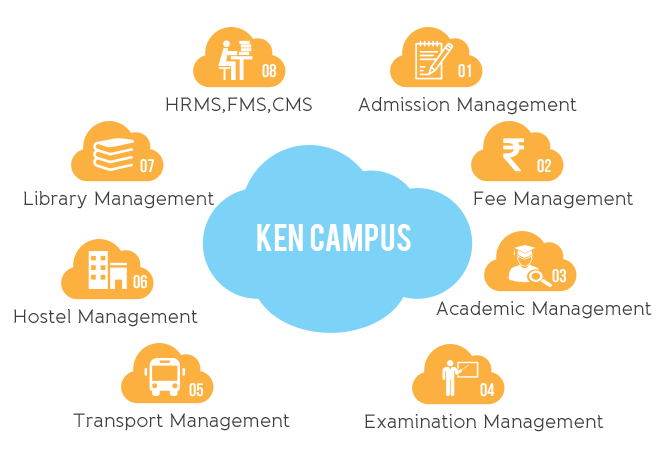 KEN Campus ERP, an Enterprise Resource Planning (ERP) solution with the most exhaustive suite of modules, helps streamline methodologies and enhance learners’ involvement chances in higher educational establishments. A single user can only operate in his/her domain. Non-computerized work can be minimized.